We’ll be getting together for lunch Saturday, 12 November, at 2:00 pm at Montana’s BBQ Restaurant, 1750 Ogilvie Road, Ottawa. Plenty of free parking on site, also accessible by city bus. Very good work being done by those at the Accidental Americans FB group. Fabien Lehagre posted this today. 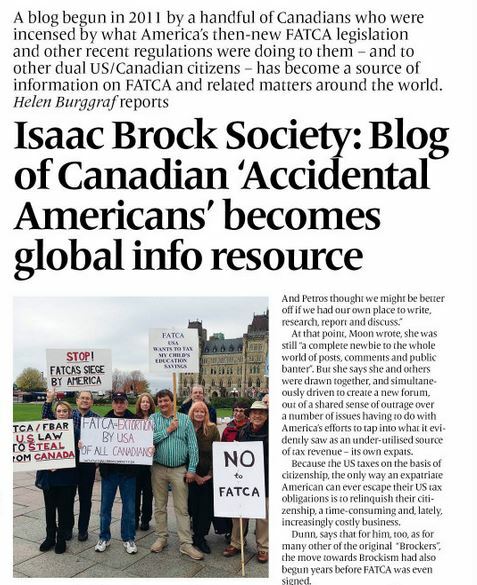 Please find below the links to the final report (original in French and a rough translation in English) from the French Ministry of Foreign Affairs of the French Commission on US Extraterritorial Overreach which includes FATCA (Foreign Account Tax Compliance Act) and the US practice of Citizenship Based Taxation and the adverse effects on French citizens who are Accidental Americans and French/American nationals which was published today. I have also added the link for the video presentation of the report (in French). I have also attached a summary both in French and in English of the French Commission’s findings. D. ANOTHER TRACK COOPERATION: INTERNATIONAL NEGOTIATIONS IN PARTICULAR THAT OF THE TRANSATLANTIC PARTNERSHIP, THE OFFER THEY FORWARD OPPORTUNITIES?